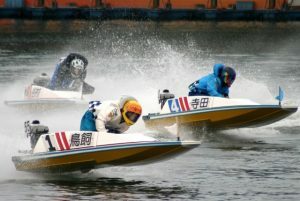 Boat racing is a popular sport in many different regions including the UK. This creates a need for many who participate in this sport to purchase the type of water vessel relevant to their race of choice. Purchasing a boat for the purposes of racing is a big investment. The buyers of these boats want to be sure that if they are buying one and, if it is a used vessel, that it is going to be in good shape. This is where a boat surveyor can be of a great help. Boat surveyors are experienced and have the detailed knowledge necessary to be able to inspect the shape that the boat is in and its integrity. They spot abnormalities and flaws that the average person may not be able to. All of this can be highly important not only for the integrity of the boat itself but in its ability to perform successfully in an atmosphere like boat racing. While using a boat surveyor for this purpose is important, finding the right one is equally as important. Boat surveyors often specialize in different types of vessels. You want to rely on one that is fully aware and experienced with the boat that you are buying for racing purposes. Another reason why using a boat surveyor to help you with the purchase of your used racing boat is for insurance purposes. You will want to have the boat insured especially when you are on the boat racing circuit. Many insurance companies will insist on you have the boat you are purchasing cleared by a surveyor. If you’re going to race, do it right and make sure to take the time to pick the right vessel for you and take the time to have it inspected thoroughly to ensure that it is legislation compliant and in perfect working order.